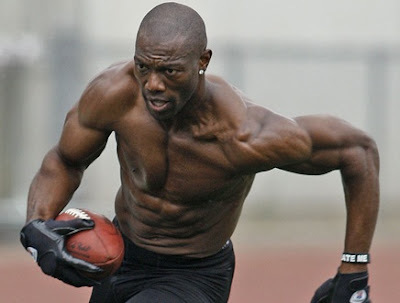 A day after 37-year-old wide receiver Terrell Owens staged a reality TV type workout before a live audience in hopes of drumming up potential offers from interested NFL teams, his first contract proposal arrived - from the Arena Football League. The AFL's Chicago Rush announced that it is extending an offer to Owens, a six-time Pro Bowler, for the 2012 season. The contract would be for the normal player agreement and pay $400 per week. "We feel that this is an ideal time to approach the future NFL Hall of Famer," said Rush General Manager and President Gene Nudo. 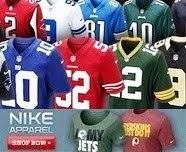 "It would be a fantastic honor to add Terrell to our current roster for the 2012 season." Owens, who has been rehabbing from ACL surgery since injuring his knee last season in Week 13 against the Cleveland Browns, held a public workout yesterday in Calabasas, California. However, not one NFL scout showed up for the nationally-televised event. Drew Rosenhaus, Owens' agent, said he'll send tapes of his client's workout to all 32 NFL teams and expects to attract some interest in the coming weeks. Owens had 72 receptions for 983 yards and 9 touchdowns last season with the Cincinnati Bengals. By the time T.O. finally realized his childish behavior wasn't going to fly with teams anymore and he started acting like an adult, he was too old so now nobody wants him. Lol Gotta love it! 37 is ANCIENT for a receiver, BUT, Owens keeps himself in extremely good shape, so I'll be surprised is no team gives him a look. I think the Titans and Bears could both use him, I mean really, what have you got to lose? Sign him to a one year deal, shoot for at least a wildcard, and see how it pans out. Plenty of teams need help at the receiver position, I just don't know if any of them need a 37 year olds help. T.O. is done. He's too old. I don't see any NFL team bringing him in. Randy Moss is younger and better, and he couldn't even land a job.